Nice Ranch Style Home in Parkview Pointe Subdivision. Home is only 6 years old. Owners sadly have to relocate and have to put home up for sale. Three Bedroom home with nice size master bedroom with private bath. Large family room with ceiling fan and carpeted floors. Kitchen with pretty stained cabinets and plenty of storage. Nice size mud room with access to rear yard. Seller purchased home new from the builder. Private fenced in rear yard. Seller has trex decking boards and vinyl handrails on deck. Concrete patio area off of deck. Concrete walk way around the side of the house to the front driveway all were upgrades they had done when the home was built. 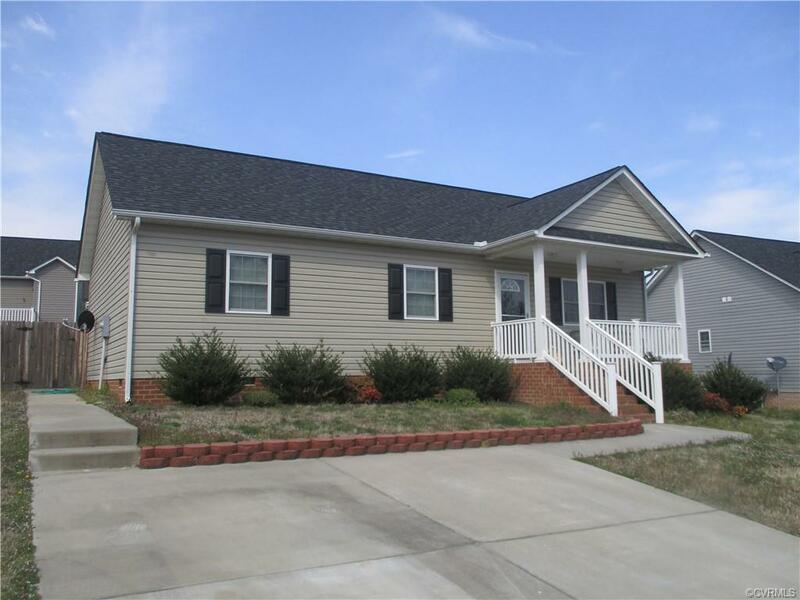 Very Maintenance Free home with the vinyl siding vinyl hand rails and concrete porch and patios. Pretty much painting the two exterior doors is all you need to keep up with. Seller offering a 2-10 Home Warranty for the new home owners. Directions: Cedar Level Road To Forest Ave. To Right On Cobblestone. To Left On Jackson Farm Rd. To Left Into Subdivision Parkview Pointe Onto Yellowstone Dr. Home Will Be On Your Right.